The perfect complement to Fire Magic’s Echelon and Aurora Grills, this 14” Stainless Steel Double Drawer is the ideal piece to finish off your new outdoor kitchen. 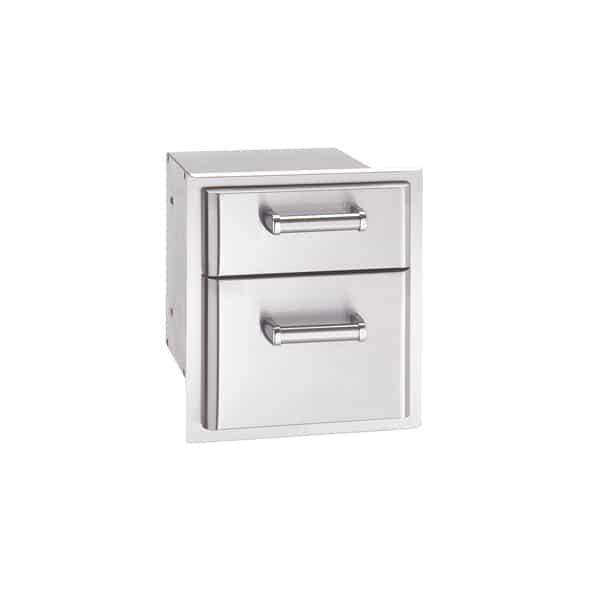 Constructed of commercial grade 304 stainless steel, these drawers offer an ideal spot to store grilling utensils, flatware, placemats and napkins; anything you want to keep conveniently on hand. The 14” Stainless Steel Double Drawer by Fire Magic has double walled construction, and forms a sealed enclosure to keep out dirt and insects.